Let me Bing that for you is a request you don’t hear too often from people. Bing surprisingly powers almost 20% of the U.S desktop search market, so you should consider it as an avenue to optimize for. SEO ranking factors shared by Google and Bing include favoring a clear architecture, fast load times, unique content, and more. Many marketers track their results against Google and assume Bing will follow, but that is not always the case. 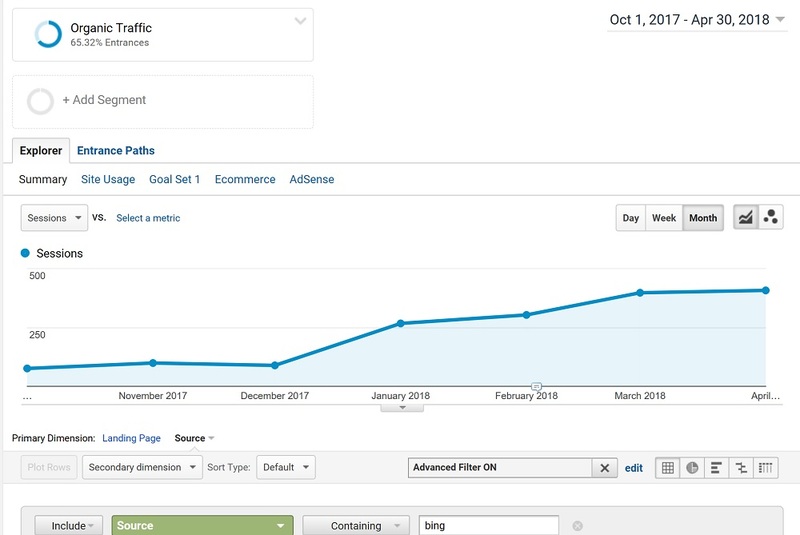 If that sounds familiar to you, I will explain my nine easy steps to follow to drive more Bing SEO traffic to your site. If you are looking for a complete guide to Bing Webmaster Tools, you can check out this post. If you desire more traffic from Bing, you need first to understand what’s in their results. To view what is in their index, you can perform this search command below. This example above is my website, and I can tell I have a problem. Too many pages are in the index of Bing which shows me I am diluting my power to non-essential pages. Rather then having a similar index count to Google, I have over one thousand more results. Bing Webmaster Tools is a free tool that allows me to understand how Bing sees’ my site. The service offers insight into my site’s performance including SEO reports, health checks, keyword ranks, and more. This picture below is for my website and the rough estimate of Bing traffic that comes to it. Submitting your sitemap to a search engine is a critical aspect of successful SEO. Merely providing a sitemap to Bing will not be good enough if there are issues with the file though. Here is the direct quote from an interview with Duane Forrester and Stone Temple. (Duane): “Your Sitemaps need to be clean. We have a 1% allowance for dirt in a Sitemap. Examples of dirt are if we click on a URL and we see a redirect, a 404 or a 500 code. If we see more than a 1% level of dirt, we begin losing trust in the Sitemap”. If you want to see how to fix this problem, I wrote how to clean a dirty sitemap here. The best way to see how Bing views a page is with the fetch as Bingbot tool. By using the fetch tool, I can review if Bing understands all of my SEO elements on my page. SEO elements include Title Tags, Descriptions, Schema, and more. The Submit URL feature allows me to tell Bing to crawl and index a particular page. I encourage clients to submit their content to Bing whenever they create a new page, or if they update an old piece of content. If you want more traffic to that page, you should wave a flag to Bing and let them know to check out the content. 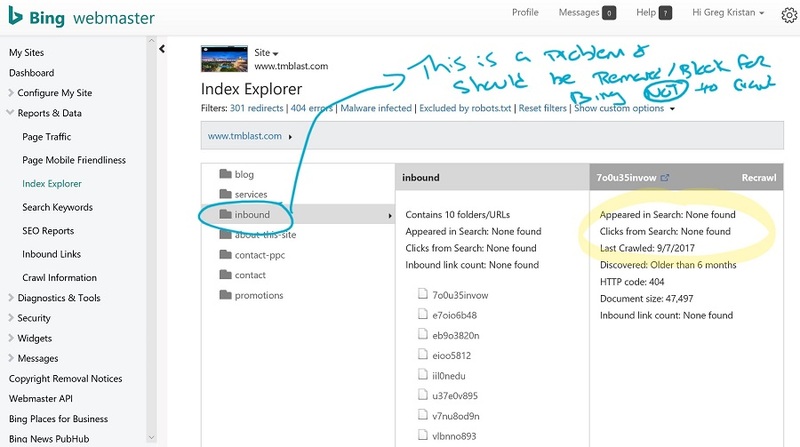 The index explorer section illustrates how Bing views a site’s architecture. A clear and precise flow from the homepage makes it easy for Bing to crawl and index a site’s content. Here is an example from above where I can tell Bing is wasting their time crawling pages that have zero value for my site. If you see something like this above, you can NOINDEX these pages to get them out of Bing’s index. Once those URL’s are out of the index, you can then block the path in the robots.TXT file to stop Bing from looking at them again. 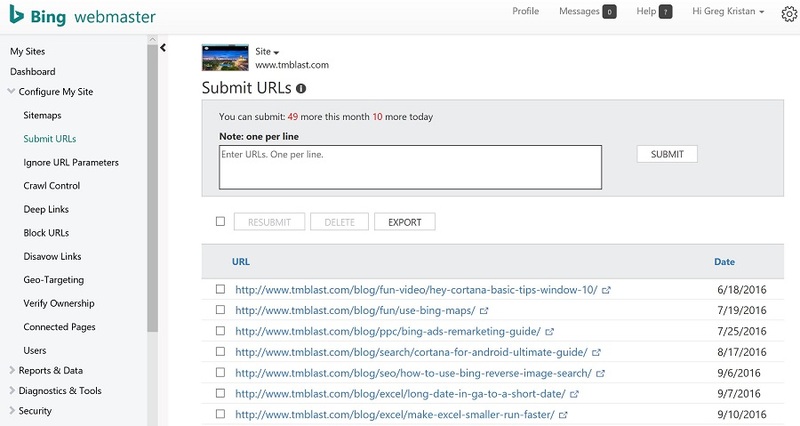 The URL parameters section allows me to tell Bing to ignore all dynamic URL’s that exist on my website. Examples of dynamic URL’s include paid search marketing URL’s, search results, plugins, facet URL’s, and more. It’s best practice to manually review this section and block results that should not be in their index. 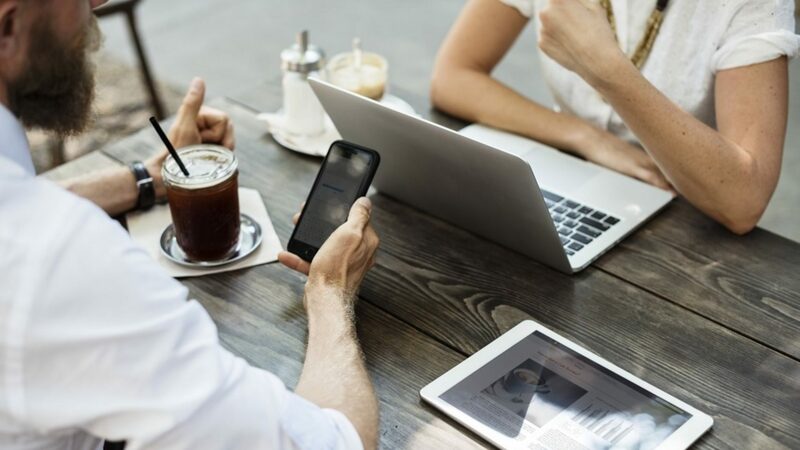 Reviewing logs of your website is one SEO tactic that does not receive a lot of attention, but I believe will only gain traction as time goes by. I examine log metrics to see if errors are happening within Microsoft and Google bot. Example of errors includes search bots crawling 404 pages, finding orphan pages, and wasting time crawling dynamic content. If you want to learn more about this type of analysis, I wrote how log file analysis could help your SEO. If you are a news site, you should consider using Bing News PubHub to reach a broad audience on Microsoft. By opting into this service, you have a chance of having your content syndicated through Microsoft properties. Microsoft properties include services like Cortana, Bing News, Bing mobile apps, and Outlook News Connector. I use Bing’s auto-suggestions for my keyword research for two reasons. The first reason is auto results are search terms that are trending on Bing. Trending terms is a fantastic way to infuse more semantic variations into content to be found by Microsoft. The second reason is that I can see what follow up questions are for a primary keyword search that real people provide. With AI as a central part of a search, I want to make sure I have content that can answer a follow-up question that someone might have. Perhaps I include a follow-up question in my blog post, or I write a brand new page that addresses this question directly. Whatever your strategy is, you are already working towards optimizing your site for more search phrases which will drive more traffic. Spending the time working on technical and on page SEO optimizations above, I’ve been able to grow my Bing traffic each month for the past few months. Here is my organic summary from Google Analytics to showcase what I am seeing. You might think that these results are small, but I get about 1k visits from organic search each month. Looking at the last month in particular, I got about 30% of my organic clicks from Bing which tells me I can continue to work on this channel to get more traffic from it. Driving high-quality traffic to your website should be the goal of SEO. By taking the extra time to review your site from a technical and on page standpoint, you have a lot to gain more traffic. 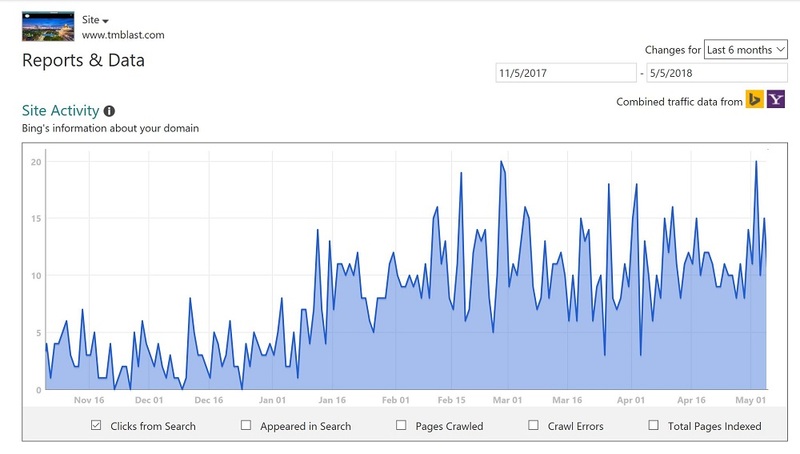 Dedicating a few hours each month in Bing Webmaster Tools can drive measurable results to your website too. If you are looking for help, I offer Boston SEO Consulting Services along with a Free SEO Audit to help guide your strategy.